It's been a while. I mean...I've missed you! But I have to say I've just been through a bit of a desert in my spiritual walk, a time where it was so hard to hear from God. It was painful, and hard, but the revelation at the other end was worth every moment of suffering, and it's with much rejoicing I'm writing now. There are...eight mirrors in my home. Not to mention many things that can be used as mirrors. Maybe this wouldn't pose a problem in your home, but here...it does. Everywhere I look, do you know what I see? Myself. Constantly. It's me, my thighs, my hair, my skin, my giant pores, my tummy, my stretch marks, my outfit, it's nauseating really. (Not that I hate myself, I realize God has made me and I am His creation). Recently, I was praying, asking God to speak to me, asking him to draw me back to him, to reveal any sin stealing me from him (kind of like taking inventory) and I realized many things had begun creeping in that were drifting my soul. 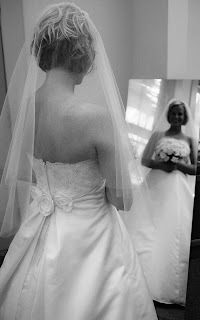 I had begun comparing myself, I had begun comparing even my dear husband (to other men--I am ashamed to admit, this path didn't lead me to good places), not only that but I was constantly taking a visual "sum up" of myself in the mirror (constantly). So one morning in my time alone before God I began reading about this process and one of the possible explanations was pride. And that's right about when the Lord metaphorically picked up the Strong's Concordance (hardback version) and smacked me dead in the forehead (lovingly, mind you). I was completely eaten up inside with self. And what does the world, and even more my home and it's 8 mirrors, constantly tell me to sow? My flesh! My body! My hair, clothes, self, self, self. So I covered up every mirror in my home. I took trash bags, cut them up and taped them to every reflective surface I come into contact with. And I prayed that God would bless it as a fast and a sacrifice. You know the Lord, He is so faithful--He did just that. As I'm writing verses on my trash bag mirrors, God shows me this. I have been looking to the mirrors over and over again to tell me how beautiful I am. To show me how I look, what I need to work on, what looks good and what doesn't, but I need to turn to God's word as my mirror. Doing this has generously and exponentially increased the overflow of my soul. Which is a fancy way of saying, I'm seeing much more clearly things eternal. In fact, I'm seriously contemplating getting rid of many of my mirrors altogether. Because what God sees as beautiful and lovely is not what this world claims is lovely (but you already knew that). (1 Peter 3:3-4, Prov 31:30,, 1 Sam 16:7). But above that when I look in God's word, do you know what he showed me? (This is my favorite part, I can hardly wait to tell you). When I look into the mirror of God's word, and look to see how beautiful I am, do you know what God says he sees? When He looks at me--He sees the righteousness of Christ. How can I ever compete with that (even on my best day). So the next time you look in the mirror, I want you to think this-- "We live by faith, not by sight." 2 Corinthians 5:7, and rejoice friend, at how much better you look to God. as always, thank you for your transparency. i've missed reading your blog! I just wish all you ladies knew the place you hold in my heart! How sweet our fellowship will be someday! I'm glad to see you blogging again. BY the way, REMARKABLE PHOTO you've posted!!!!! Truly Beautiful!! !